We are committed to deepening our commitment to racial justice on an organizational level and within our grassroots family of support. We know that a racial justice framework will advance the depth and value of our work and requires that we learn from and incorporate analysis from people of color and other similarly-impacted communities. We know that investing in racial justice will strengthen our solidarity work, grow our role in U.S. social movements, and connect important internationalist perspectives and models with U.S. organizing. 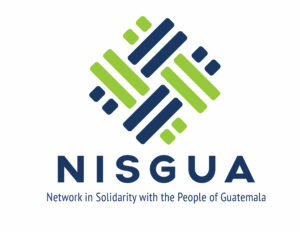 NISGUA is committed to strengthening our collective solidarity work by building connections with local U.S.-based social and environmental justice movements, both within our organization and in our network. We ground this in a commitment to racial justice and the recognition that the global systems of oppression impact both communities in the U.S. and the Guatemalans with whom we stand in solidarity. We are also acutely aware that U.S social movements are in a critical moment of action and organizing against rising threats of racism and authoritarianism that requires a global vision and internationalist perspective. One of the strengths of the NISGUA community is our ability to hold the expansive and complex reality of acting in solidarity and towards justice on a global scale. We will continue to build on this resource and resilience to turn inward and look at how we can be guided by directly impacted communities in the U.S., and increase representation of people of color (POC), as well as class-impacted and queer people, in our network. We will act on the political imperative of making meaningful, deep and mutually beneficial connections with impacted communities in struggle in the U.S. We are inspired and excited about the possibilities this holds for our future and for a shared vision of solidarity. 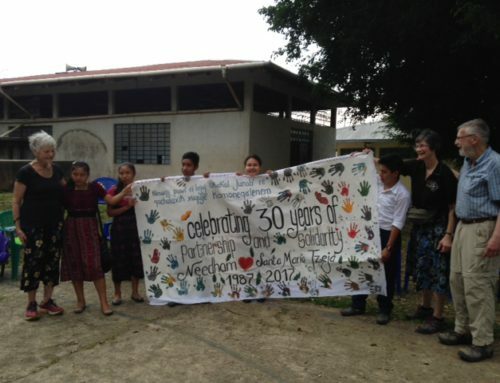 The Guatemala Accompaniment Project (GAP) is one of NISGUA’s main programs. Liberatory principles and reflections on racism, classism, and other intersecting oppressions are deeply ingrained in GAP’s accompanier training and day-to-day work in Guatemala. We will work to maximize this program’s potential to build horizontal exchange between communities in the U.S. and Guatemala. The people we accompany in Guatemala fight racism, economic exclusion, environmental devastation, criminalization of community and movement leaders, and militarization of their communities. Poor and working class people and communities of color in the U.S. face parallel issues under the same global systems of oppression. We are committed to increasing POC and poor/working class participation in GAP in order to generate horizontal connections with such accompaniers’ communities, deepen NISGUA’s analysis, and increase representation of similarly-impacted communities on NISGUA’s staff and board, many of whom are former accompaniers. We invite our network to join us in building knowledge and capacity to weave this work into all aspects of our work and activism. 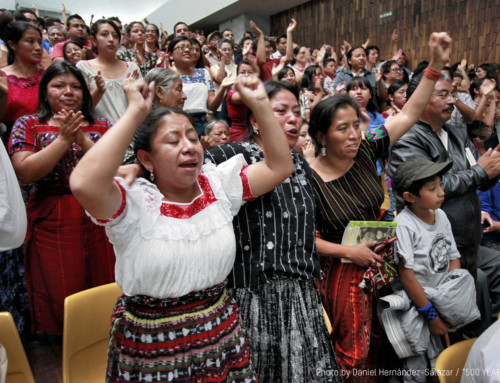 Defense of Territory and Self-Determination: The U.S. and Guatemala share histories of genocide, displacement, and resource extraction committed against native, black, and poor peoples, which continue to date. Just as community consultations in Guatemala are disregarded in favor of private companies, so too are neighborhood and people’s movements excluded from participatory government in the U.S. Corporations engage in extractive industries that impact the land and water of rural communities left out of consultative processes, especially on indigenous lands, as in the case of the Dakota Access Pipeline, or the struggle to defend the West Berkeley Shellmound of the Ohlone people on whose land NISGUA’s U.S. office is located. Indigenous self-determination and basic respect for sacred sites are sacrificed for corporate or “development” interests. 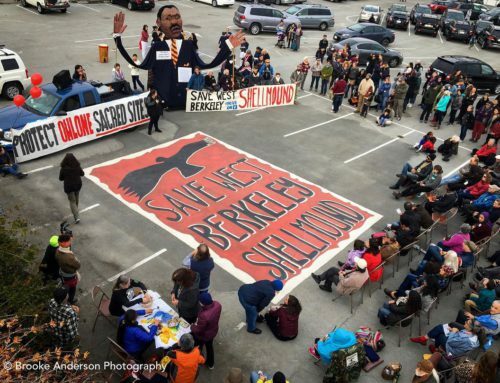 In defending land and territory, the struggle for the right to housing and the right to the city is particularly urgent as gentrification threatens most U.S. cities, including Oakland where our U.S. office is located. In the same way that Guatemalan elites collude with transnational companies to displace indigenous and campesino people from their land, so too do U.S. local and city governments collude with real estate elites to gentrify neighborhoods and displace people of color. Militarization: We accompany communities in the Guatemalan departments of Huehuetenango, Ixcán, Quiché and Santa Rosa/Jalapa who have all experienced increased militarization of their regions in recent years and at the time of publication states of siege have been implemented in two of those regions in the last 5 years. State violence has heightened as people’s resistance to mining and hydroelectric projects has increased. The similarity between militarized state repression of land and water defenders in Guatemala and that carried out against the water protectors of Standing Rock could not be clearer. Across the U.S., black and brown communities experience police and ICE/Border Patrol as an occupying and repressive force in their daily lives and U.S. government policies are oriented towards funding the militarization of domestic forces, as in the case of Urban Shield, a national expo which promotes military-grade weaponry and training to police departments from across the country. The Double Impact of Displacement: In Guatemala, militarism and resource extraction are two forces among many that have long driven internal displacement and migration to the North. In the U.S., Latinx and all immigrant communities are doubly impacted by the oppressive systems that create the conditions of displacement and migration from the South, as the U.S. political climate is increasingly shaped by racism and xenophobia targeting immigrants. Under the current and previous administrations, this climate has manifested in a policy of mass detention and deportation, and sustained patterns of discrimination that impact daily life in a variety of contexts. Transferred a staff position from Guatemala City to Oakland, California to increase Bay Area engagement, deepen U.S. social movement understanding, and coordinate Racial Justice Initiative. Joined with Catalyst Project to focus-in on racial justice, deepen our political education, and explore how we can initiate or deepen our connections with U.S. movements. Held a 2-day training and planning session with Catalyst Project facilitation at the 2016 GAP Gathering. Engaged in strategic outreach to immigrant, indigenous, and other POC organizations about our speaking tours, delegations, campaign work, and the Guatemala Accompaniment Project, with a concrete outcome of increased participation in 2016 and 2017. Increased participation and scholarships for POC and poor/working class people for our 2016 and 2017 delegations to Guatemala and 2016 GAP Gathering. Drafted and began implementation of an organization-wide plan of action to transition racial justice initiative into mandates and work plans across programs and organizational structure. Language justice through quality interpretation via simultaneous interpretation equipment and paid translation of key NISGUA materials into Spanish. A 2-year subscription to the Zoom webinar-conference service, enabling us to bring you into virtual tours and direct conversations with Guatemalan activists and to further the racial justice conversations we plan to have within our network. Planning a horizontal exchange between communities on the frontlines of environmental justice in the U.S. and Guatemala during our 2017 fall speaking tour with Guatemalan environmental justice youth group JODVID. Prioritizing scholarships for indigenous/POC/poor/working class/queer people on our 2018 delegation. Expanding our GAP outreach to connect with social justice organizations leading our U.S. movements in the fight for socioeconomic justice.